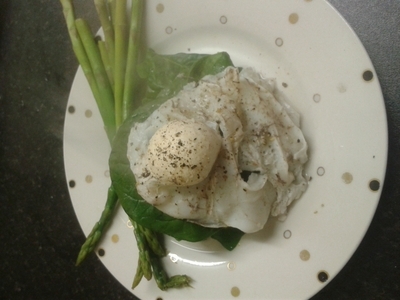 Eggs are a great way to start the day, and it is oh-so-easy to make this quick breakfast, which only requires a little effort. 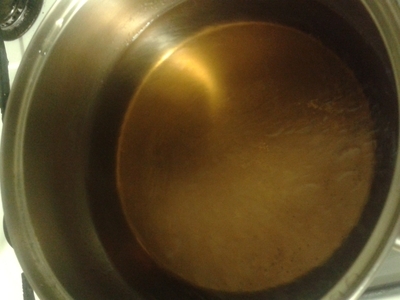 Add the vinegar and coconut oil to a saucepan of boiling water. 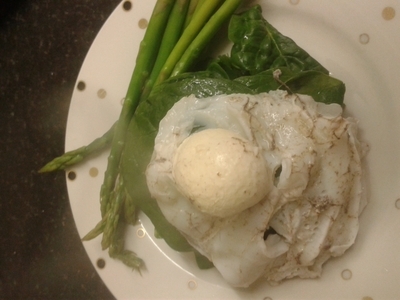 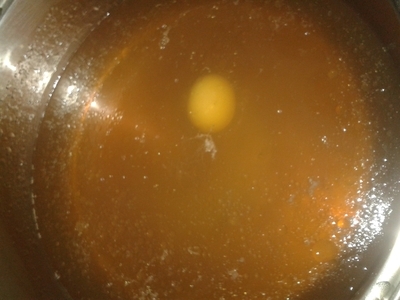 Crack the egg in and simmer for 3 minutes. 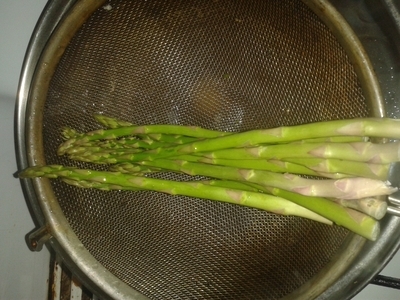 Place the asparagus in a sieve and on top of the saucepan, to create a makeshift steamer. 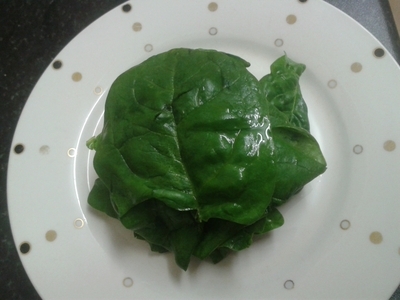 Add the spinach to a plate in a small mound. 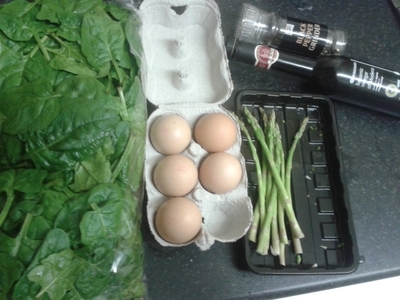 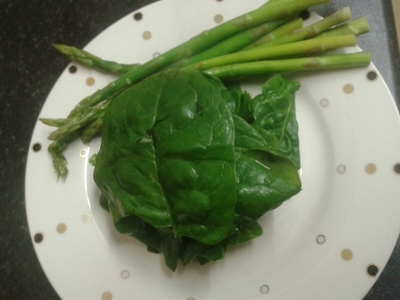 Place the asparagus on the side of spinach. 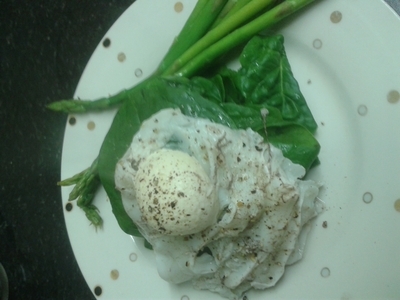 Garnish with the pepper and serve.